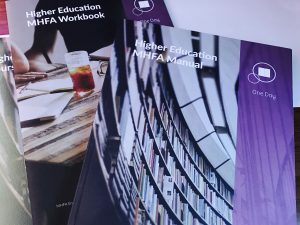 In consultation with leading student mental health charity Student Minds, MHFA England has created a course tailored to the Higher Education community. The course has been piloted in 16 universities and evaluated by the University of Chester. The day includes a mix of presentations, group discussions and workshop activities. Mind Matters Higher Education MHFA trained instructor will provide a safe learning environment where participants are supported throughout the course. How will attending a Higher Education MHFA course help? The course gives a deeper understanding around the issues that relate to student and staff mental health. Participants learn practical skills that can be used every day, including how to spot the early signs of mental ill health. 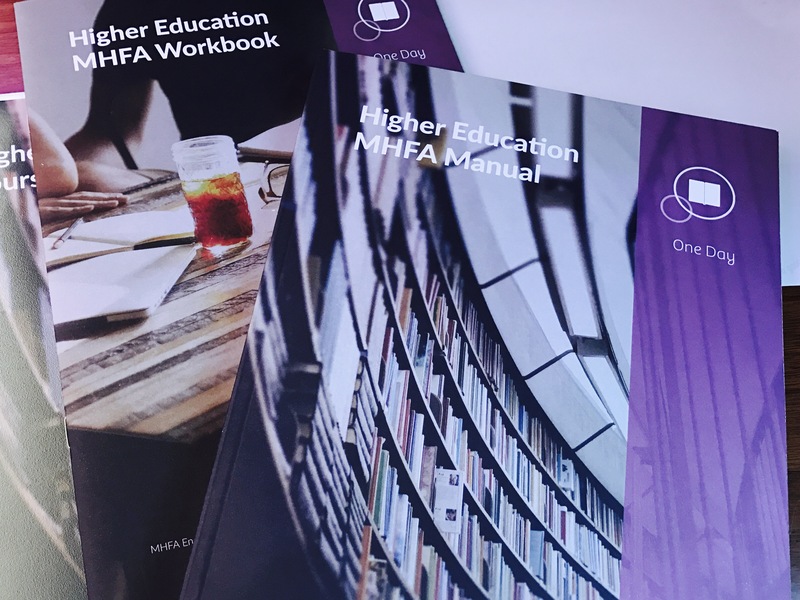 Everyone who completes the course receives a copy of the Higher Education MHFA manual which is an excellent reference and support resource. They also get a certificate and badge from MHFA England to say they are an MHFA Champion – someone with the skills and confidence to advocate for mental health awareness, support a culture of positive wellbeing, spot signs of mental ill health and guide a person to a place of support.